I have cupboard full of cake tins for every occasion that I buy half price after the event, intending to save for the next year and then promptly forget about. I was quite pleased last week to find an Easter egg shaped one hiding at the back, but for some reason it didn’t occur to me that the tin was for cake at all. I thought it was for making chocolate eggs. Much to the excitement of Z, S and H we set about melting a LOT of chocolate, and poured it into the tin. We tried adding jelly beans in a pattern to one egg, but the chocolate partially concealed them, I need to try again with that one. 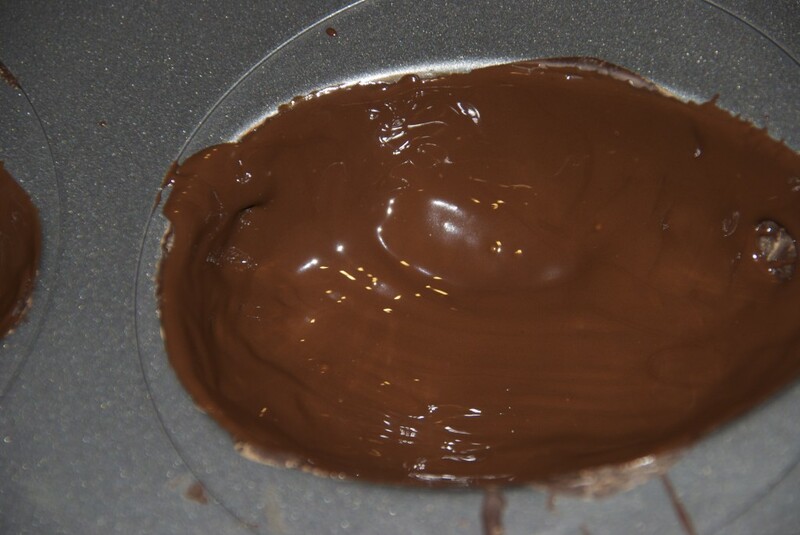 I used a silicone brush to paint the chocolate into the mould, and waited for each layer to dry before adding the next. Once the chocolate was quite thick, I put the mould in the fridge to set further and then gave it a good bash to get it out. For this one we swirled some white chocolate around the tin first and once that had set added the milk chocolate. These little bags are from Lakeland finish it off nicely! I just need to make some sweets to put in the middle now! and maybe use the tin for its real purpose and make some Easter egg cakes! 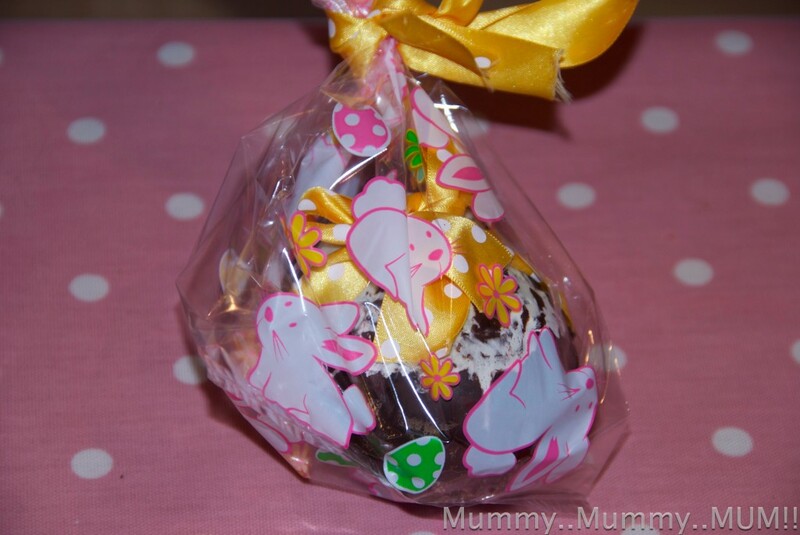 Oh my, what a fabulous homemade Easter Egg! I love it! I Want an egg mould now too.. mmmh… how to get one… Delicious.